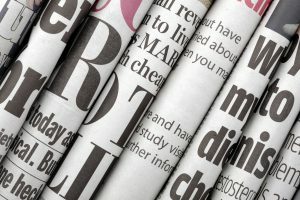 Recently, PR Daily wrote an article about tools to help write “outstanding headlines.” Why headlines? Because headlines are important. A majority of people use headlines to decide whether or not to read the article. It doesn’t matter if the article is bad or good. If the headline isn’t “outstanding,” it simply won’t get read. From experience, when browsing the web, we click on headlines and keywords that interest us. An article from The New Yorker by Maria Konnikova takes it a step further by saying that headlines change the way we think. The article states that a “headline frames the rest of the experience.” It can influence your mindset as you read. What do you think about headlines? Which headline did you see recently that made you stop and think, wow that’s good? If you could give a headline to this blog, what would it be? Let us know by leaving a comment down below, tweet us @LaVozMarketing or email us at info@lavozmarketing.com. © 2019 La Voz Marketing. All Rights Reserved.